← SoulFetish® Paris, Boutique et Showroom ! SoulFetish® Paris, Store & Showroom! 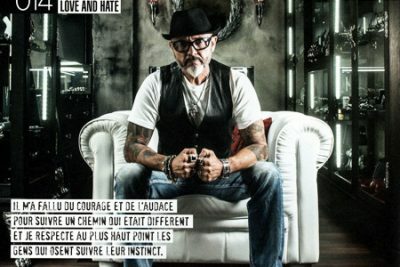 SoulFetish in Paris facelift with the opening of its showroom! New location, new decor, new staff but with the same passion: to offer silver jewelry, always handcrafted molds via wax (method increasingly neglected by the big jewelers to optimize their production). Thierry Martino, creator of the line, develops and shapes for nearly 20 years his creations in Thailand, a country where he moved for professional reasons – thoroughness and experience the art of engraving in culture there is very pronounced – but by love. His wife, Ankhanang, works with him in his business and his brother Laurent Martino installed him in France near Toulon, manages, among others, the SoulFetish® European market. 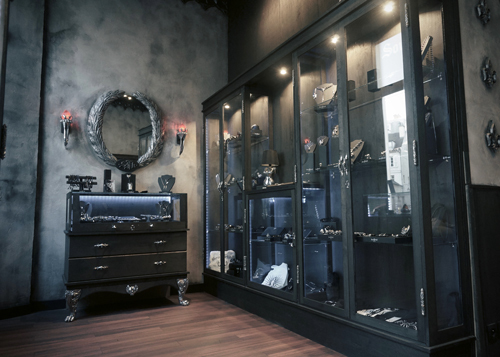 After the openings in Paris, Geneva, Athens, Verona and Sanary-sur-Mer, Thierry wanted to give a “Showroom” area of the capital and the same line with other shops the overall presentation of jewelry and their implementation value in this new place located at 48 rue de Turenne , in the third arrondissement of Paris. Indeed, all the decoration of the place is highlighted, and used, for himself. From painting feet, hinges and handles furniture moldings ceilings, Thierry is involved 100% with his brother Laurent and the team in place (Alexander, Sarah and Guillaume). Among the collections on display in the showroom Parisien also include jewelry specially developed for Harley Davidson®, Thierry holds the license for their high-end jewelry, and this is one of his proudest achievements. How to define the spirit of his creations? Very close to the man, for there work with his heart and soul. Always close to the Biker mind, travel and freedom. He likes the money work he describes as living, this precious metal has indeed some reflections by polishing and changes appearance over time. Do not hesitate ! Go and meet its wonderful creations at Paris Showroom where the friendly staff will advise you and welcome you! A big thanks to ”Among The Living” for the writing of this post and the beautiful photos.